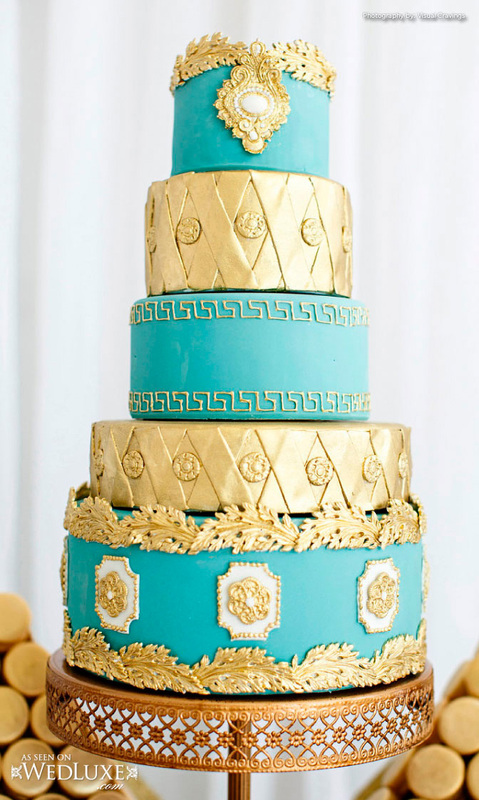 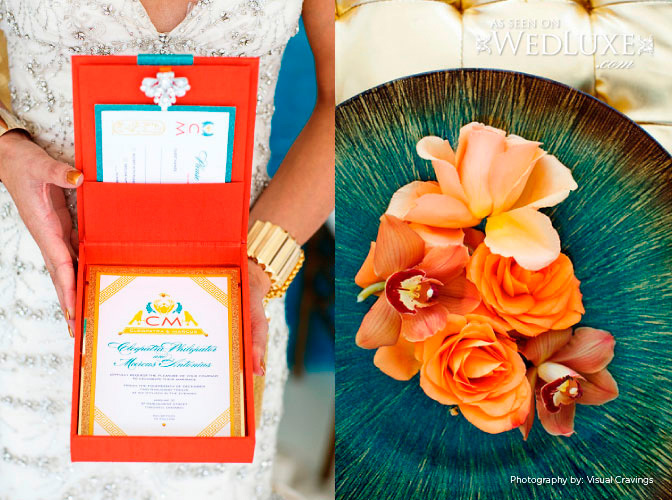 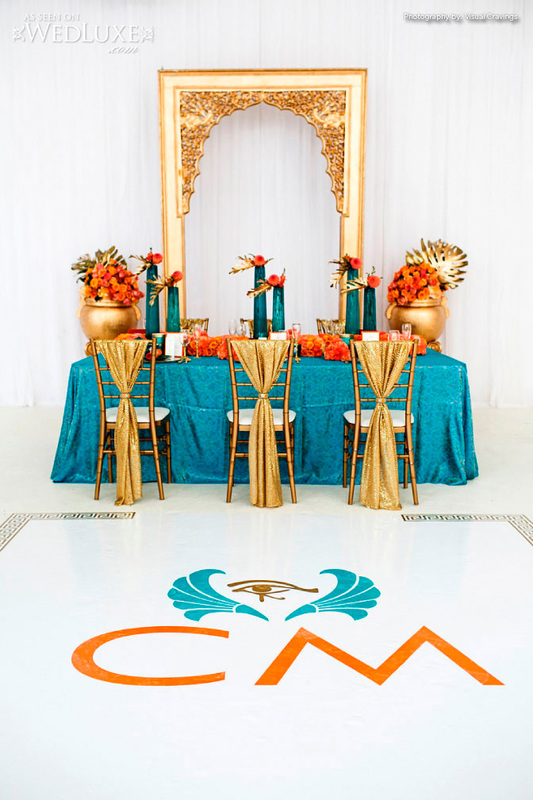 Bold colours of the Mediterranean, combined with Egyptian motifs bring epic drama to this awe inspiring wedding shoot featuring our own version of Cleopatra! 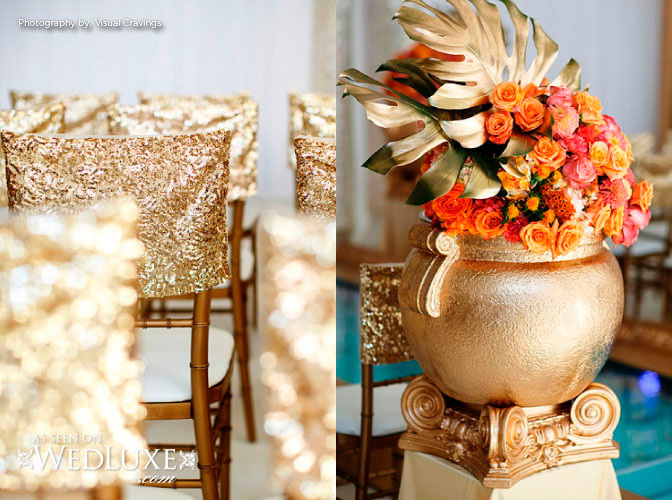 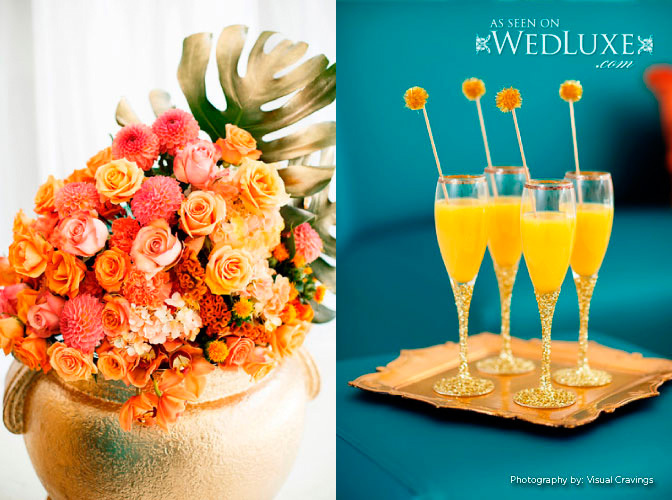 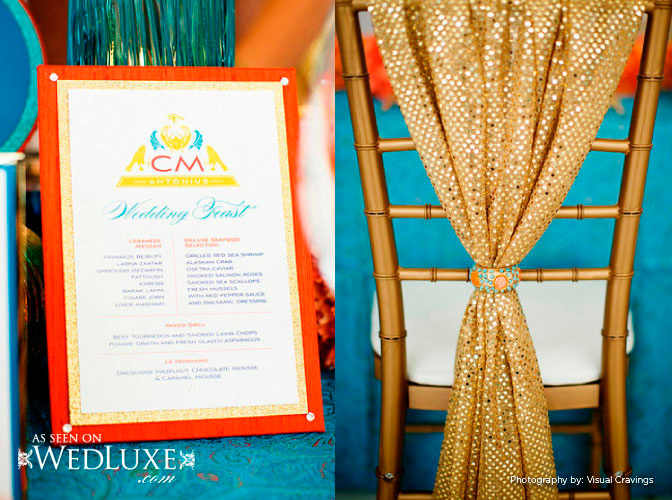 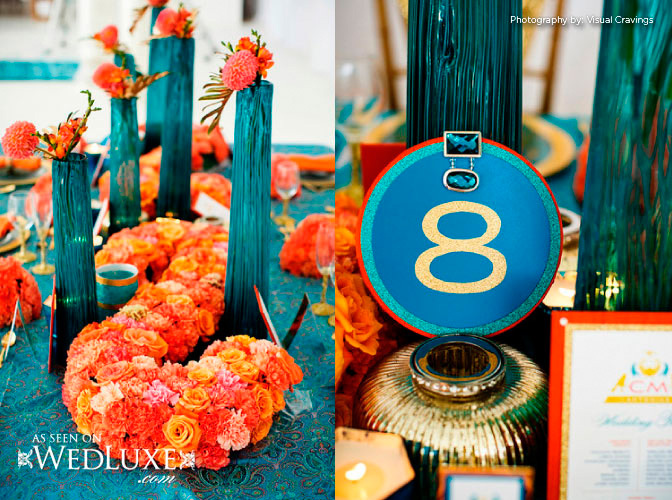 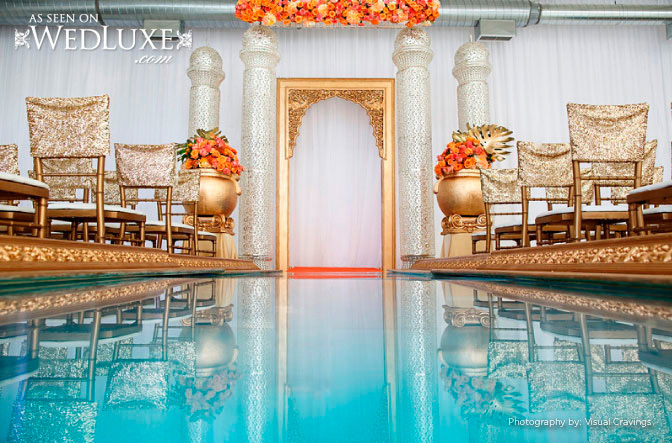 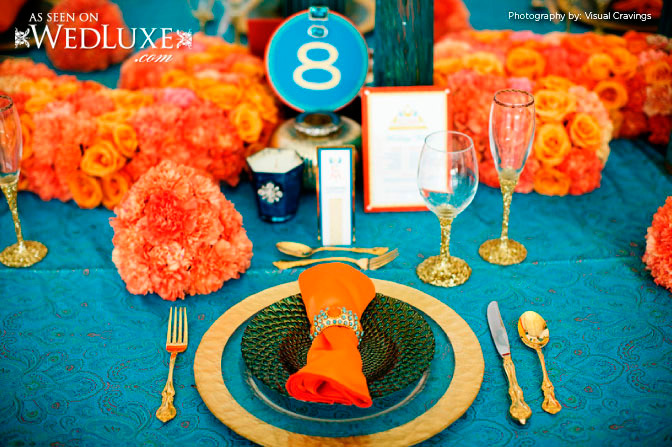 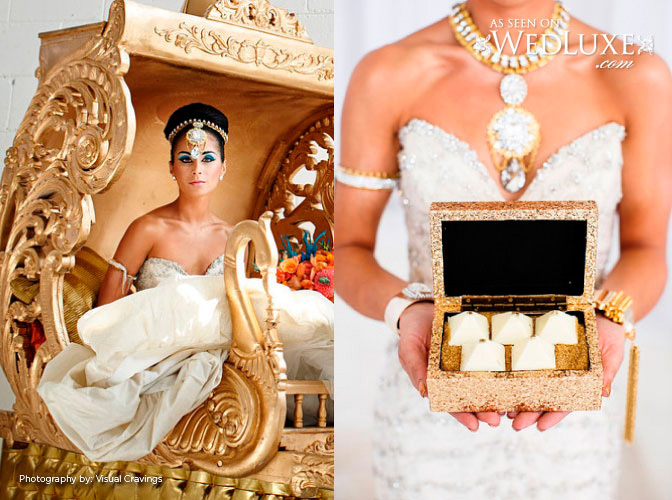 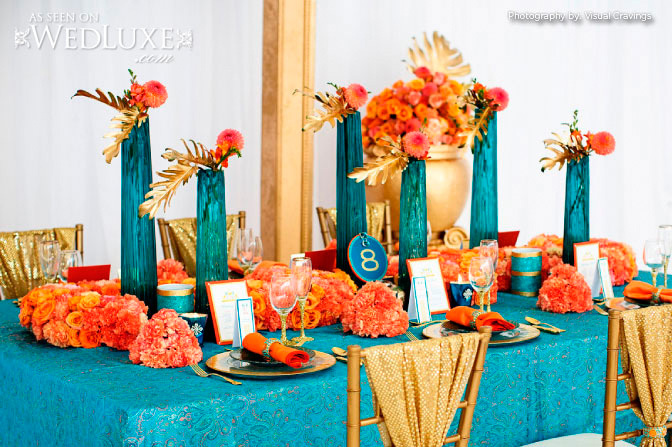 Stunning flowers and luxury decor, including a gold chariot are a feast for the eyes. 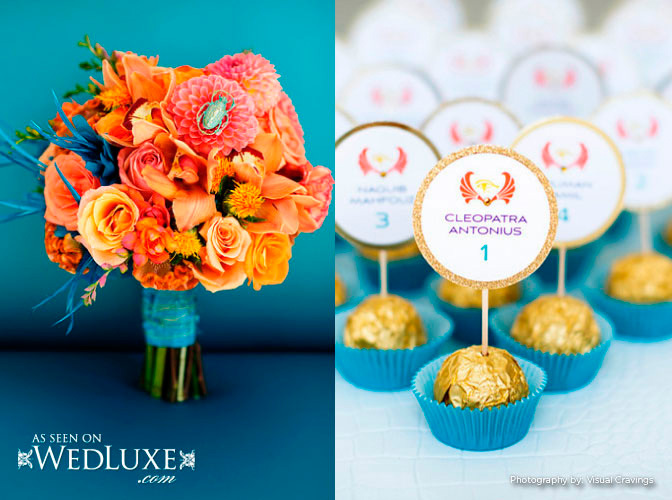 This collaborative effort with our friends Laura & Co Events, Rachel A. Clingen Wedding & Event Design and Christina Wong of Truffle along with so many other talented Toronto wedding industry experts was an extremely fun creative project. 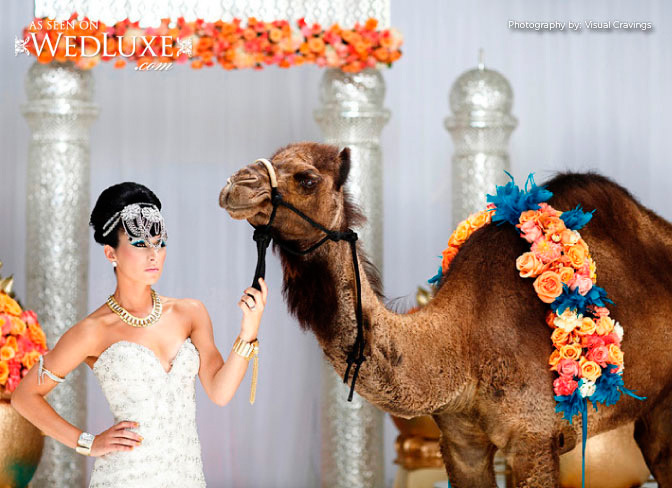 No detail was over looked including a beautiful and very well behaved camel named ‘Dora’. 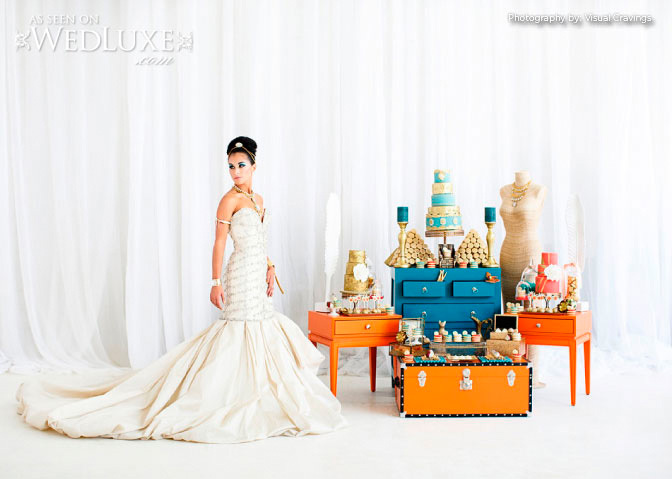 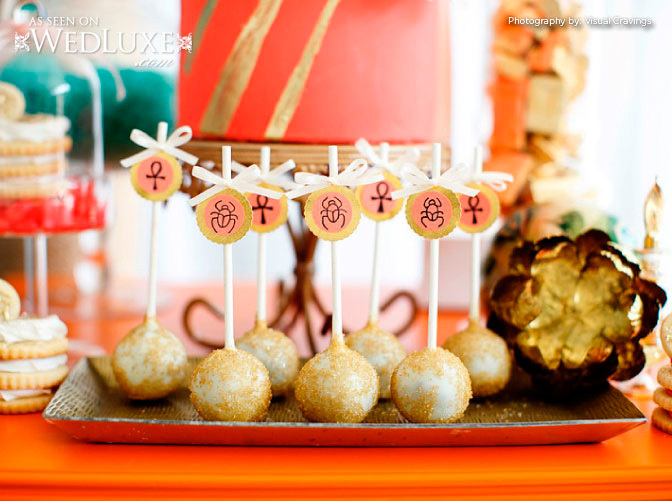 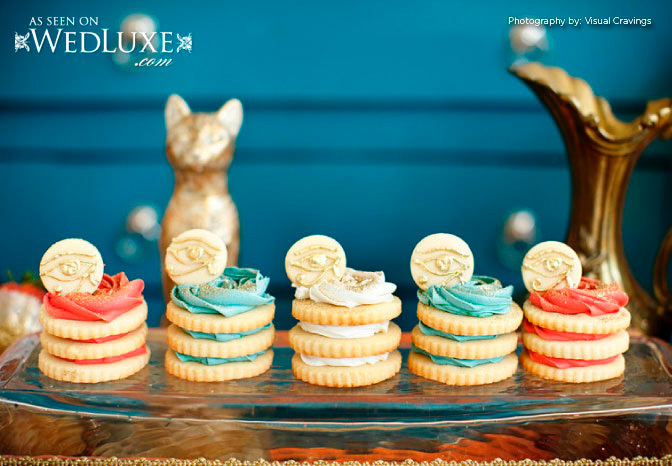 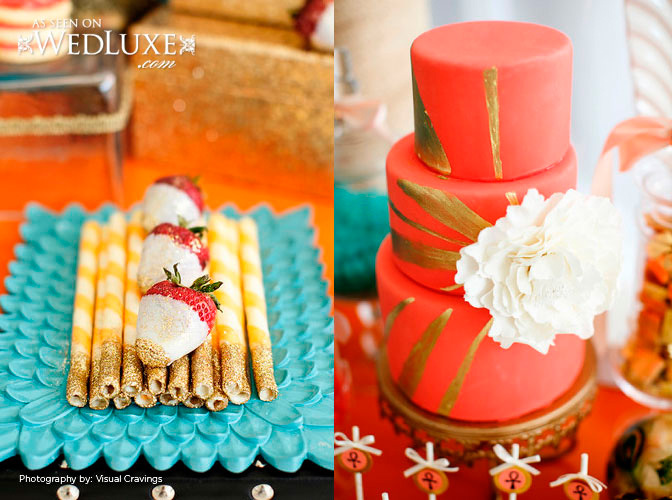 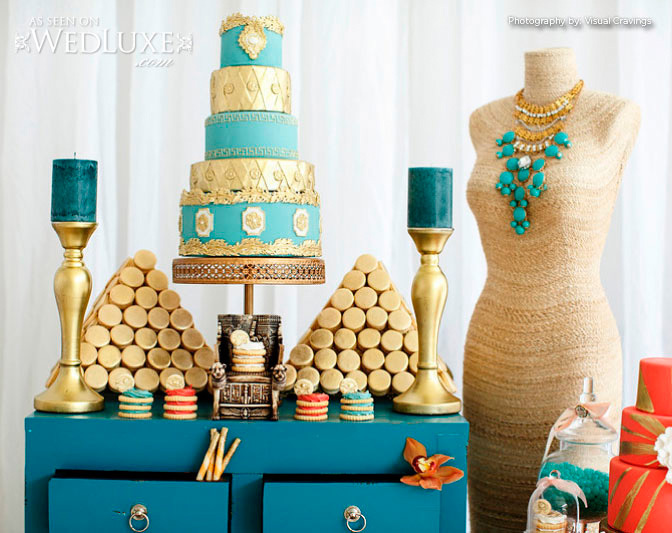 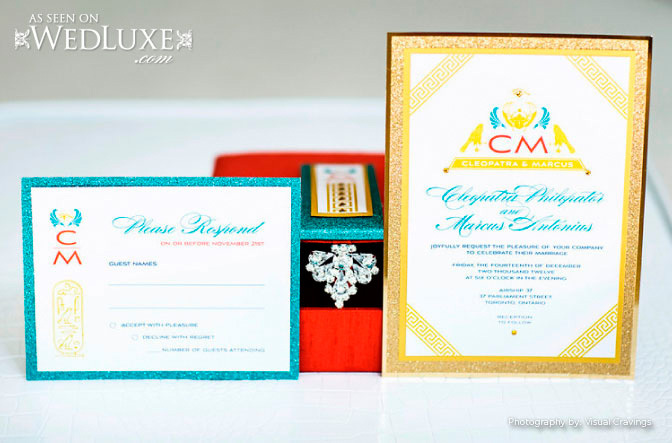 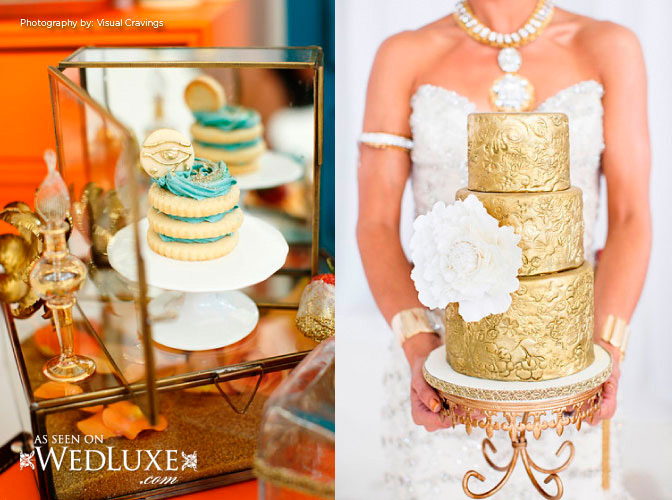 We were all thrilled to have the shoot featured both in print and online on Canada’s luxury wedding magazine Wedluxe. 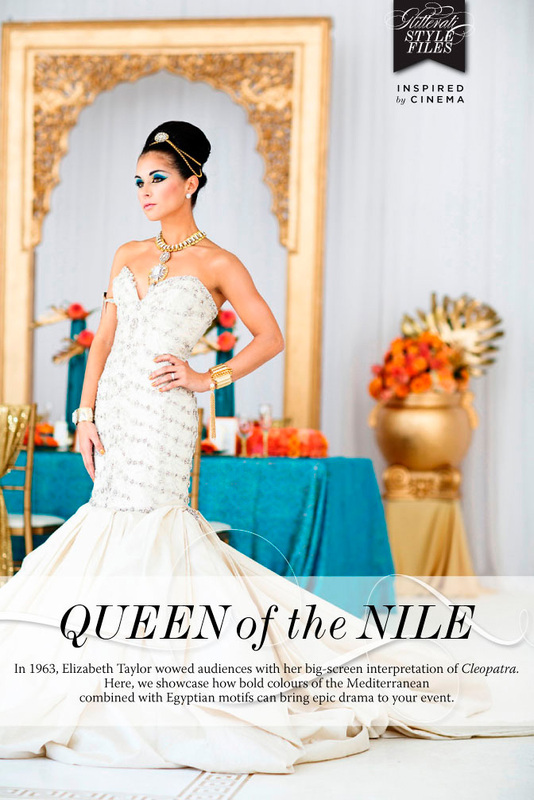 Be sure to check out the magazine feature as well. 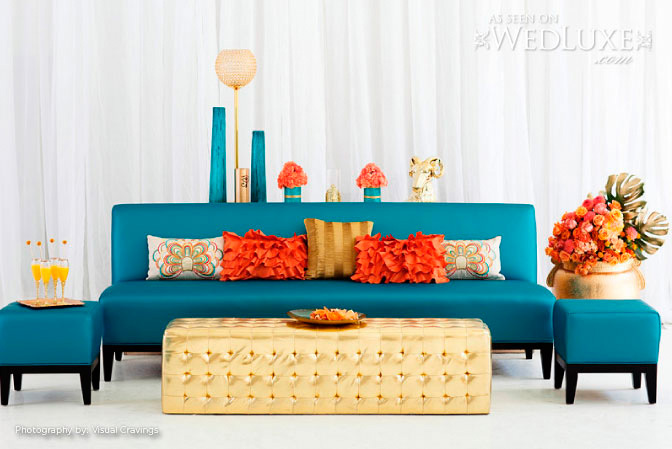 Lounge Furniture: Contemporary Furniture Rentals Inc.